We had a pretty nice surprise in the wake of our Photo Contest. Simon Johnson, who took first place, decided to do a little build project with his prize and put some of the info on his favorite forum, BikeForums.net. 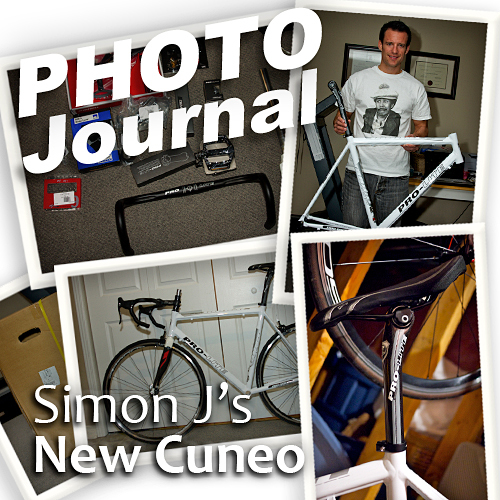 We thought this was pretty awesome and thought it would be a good idea to give him another place to host his Photo Journal as he builds up his custom Cuneo. Have a look and read about his setup! The content of this article will come from Simon's public comments on the forum and we would encourage people to follow the link to bikeforums.net to see the whole story for yourself and participate in discussions.